Late Bloomers Garden Club will host our first Weed Wrangle®-Jacksonville at Walter Jones Historical Park in Mandarin on Saturday March 3rd from 9:30-12:00. We will be concentrating on removing camphor. Bring shovels, clippers, loppers, gloves, your lunch and water. 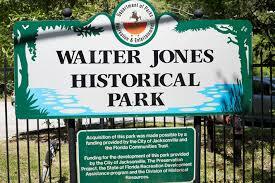 Walter Jones Historical Park, 11964 Mandarin Road Jacksonville, FL 32223 The park is located in the southern portion of Jacksonville, Florida, south of I-295. Exit 295 at San Jose Blvd., traveling south. Make a right turn at Mandarin Road (Tree Steak House). Proceed .8 mile to the park entrance, which is on the right. The City of Jacksonville acquired 10 acres of Major Webb’s original homestead from the descendants of Walter Jones in 1994 for the purpose of creating the city’s first historical park. The Mandarin Museum & Historical Society operates the park facilities under a contract with the city. 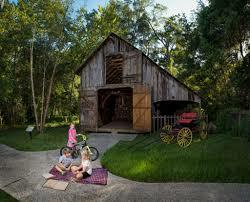 The park opened to the public in August 2000 and is today home to the Mandarin Museum, the St. Joseph’s Mission Schoolhouse for African-American Children, and other historical structures, including the 1875 Webb Farmhouse, the 1876 barn, the Losco Winery, and the Wheeler Sawmill. Following restoration, the Webb Farmhouse opened for public tours in August 2002. The Mandarin Museum & Historical Society has furnished the house to reflect family life during the late 1890s and early 1900s. Mandarin now is a small section of the City of Jacksonville, Florida, but its natural beauty, parks and historic buildings draw visitors from around the world.